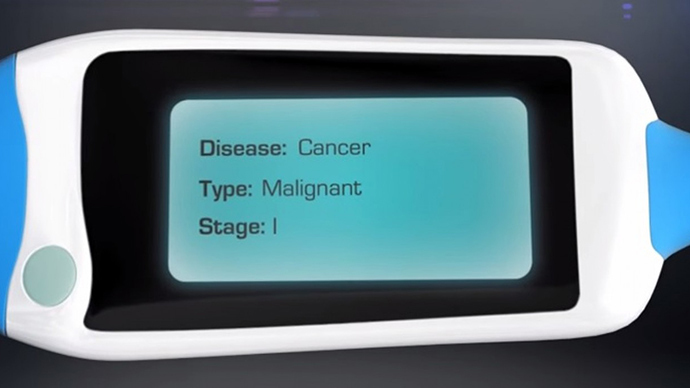 An Israeli-led consortium has received a €6 million grant from the European Commission to develop a phone attachment that can tell if you have cancer just from your breath, often months before any other scan or test. “Current cancer diagnosis techniques are ineffective and impractical,” said star academic and project leader Hossam Haick of Haifa’s Technion Institute in an interview with the Times of Israel. According to the World Health Organization, 1.5 million people die from lung cancer around the world each year, and the hard-to-diagnose illness is often detected at an inoperable state, once it has spread to other internal organs and systems. Instead of stationary scanners, Haick’s NaNose, which he has been developing since 2006, requires just a tiny – but hi-tech – gold-plated chip, fitted with tiny nano-sensors. They work by detecting a subtly abnormal chemical combination in the breath of someone nursing a malignant tumor. The accuracy is 90 percent. Haick’s team commercialized the invention two years ago, in the form of a breathalyzer, and is not attempting to make an even more portable, and easy-to-use device. According to the proposal, the SNIFFPHONE would simply be an electronic clip with a breathing tube that would be attached to a smartphone, using its charge to operate. Its main application would be for instant diagnosis in remote or poor areas, where more comprehensive equipment is not readily available. 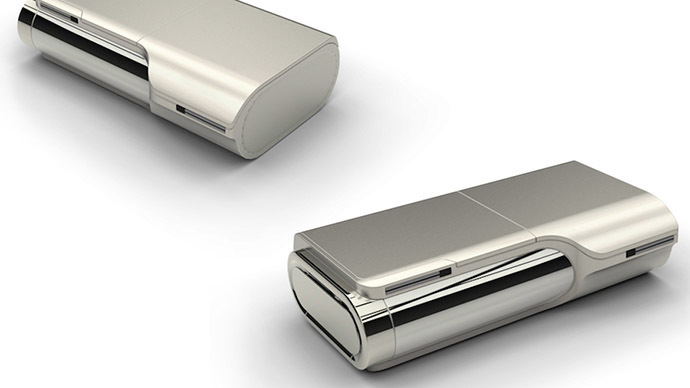 The worldwide market for cancer-diagnosing devices is $8 billion-a-year, so if the SNIFFPHONE becomes ubiquitous, the initial investment should be handsomely repaid. Although it boasts a unique diagnostic capability, the SNIFFPHONE isn’t the only phone-based device that is vying for widespread commercialization. Prototypes exist of attachments that take advantage of an iPhone camera and a biosensor to detect infection, or use blood samples and nano-sensors to perform instant blood tests.